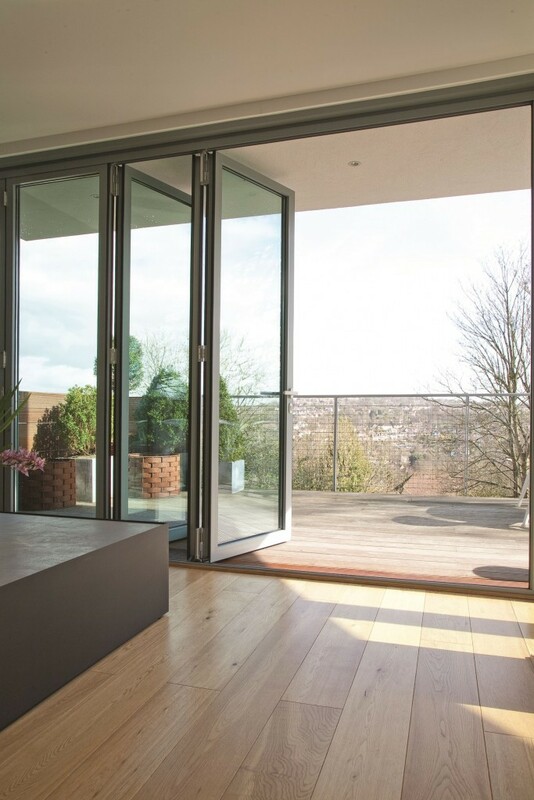 Our premium bespoke oak bifold doors will help open up your living space, enabling you to access your patio or garden with ease. 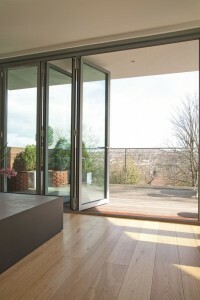 The high, glazed panels mean you can appreciate the outdoors even when the weather’s not so great, whilst the simple sliding system means you can open your doors fully for a picture-perfect connection between the indoors and outdoors on a beautiful day.It’s this versatility that makes bifold patio doors a clear winner for many homeowners these days. 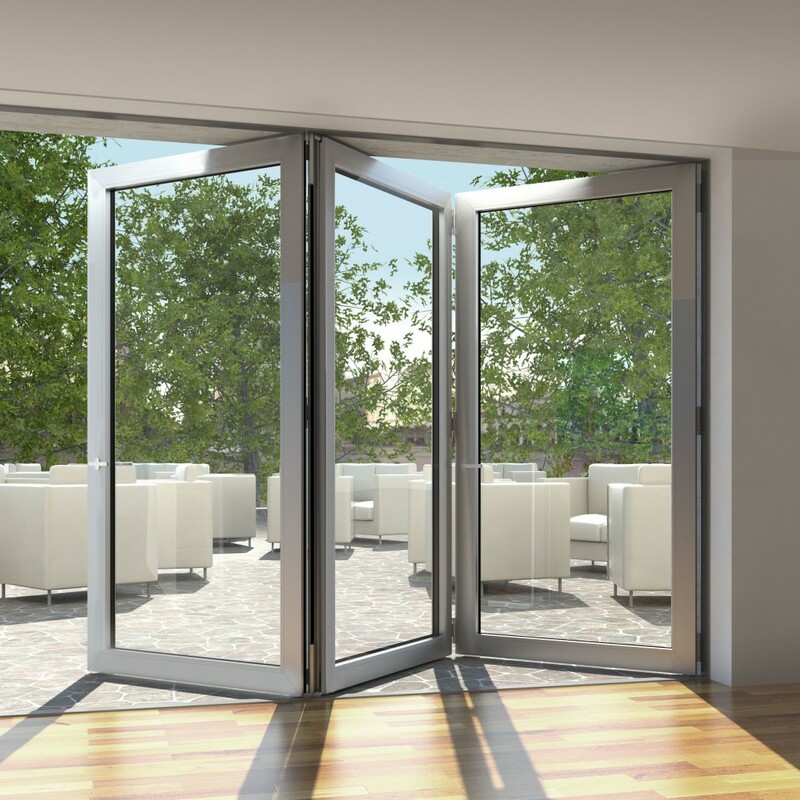 Our folding and sliding doors / stacking doors come in a wide variety of configurations, usually bespoke to the customer’s requirements. Below are some “standard” specifications. Oak is a common choice of timber for doors and windows, particularly in period homes which normally have timber sash or casement windows elsewhere. Naturally stunning, it offers a ‘friendlier’ feel than aluminium or uPVC, and can also be coated in any colour you desire. Why Oak Wood is so Popular? Sturdy. Oak doors have a solid frame and are hard-wearingand durable doors. So, while you may fork out a little bit more than lower-priced alternatives, you’ll certainly get your investment back, for many a year. Good Insulation. Oak is a thick material making it tremendously energy efficient.Oak doors help to shut in heat during the colder weather, but also work well during the warmer summer months, as they enable your home to get cooler. 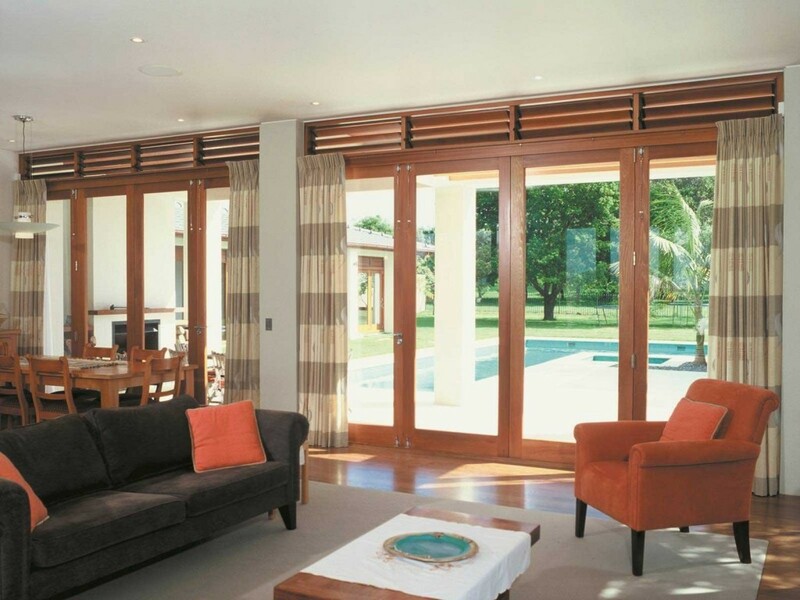 Complements Home Décor.An all-rounder, oak folding doors really add some style to your home décor, and enhance the choice of floor, whether it be tiled, wooden or carpeted. It goes with virtually any floor type. 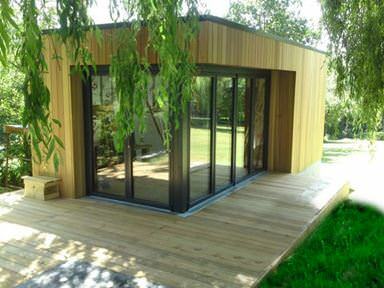 Noise Cancelling.Oak doors, particularly solid oak doors, create a fantastic noise barrier when shut. This is especially valuable for those living on busy streets or even near the road. They also work well in office buildings thanks to the acoustic nature of oak. 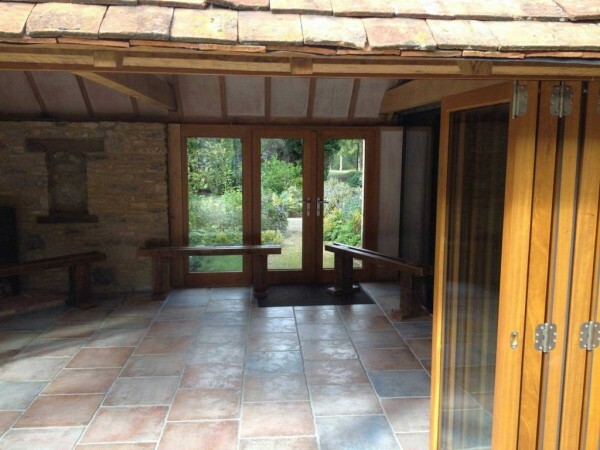 Why Buy Made to Measure Oak Bifold Doors? 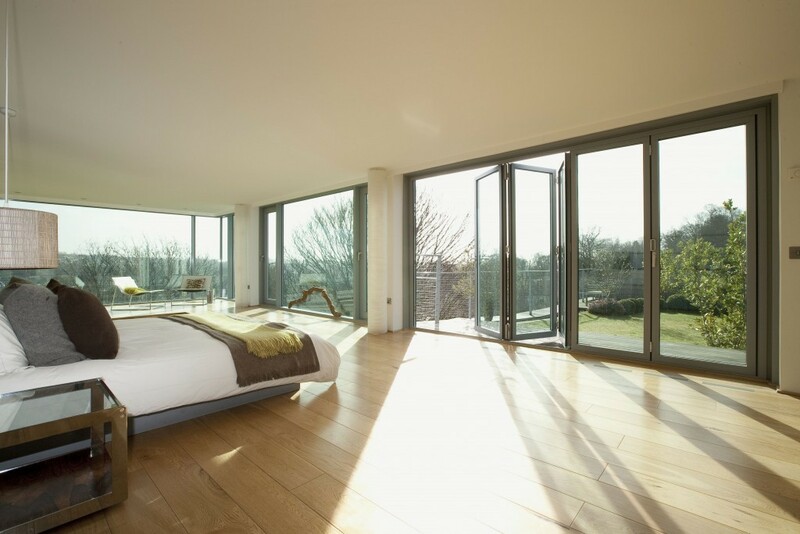 Our internal and external oak bifold doors combine the natural appearance of oak with the thermal efficiency of composite materials. Made from a solid engineered core, these doors provide value, solidity and durability. 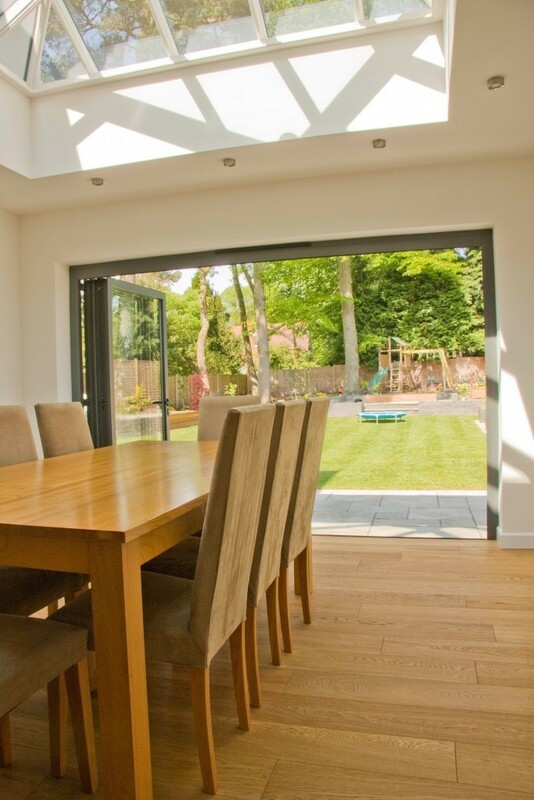 Thanks to their natural appearance and flexibility, timber bifold doors are an excellent choice. Its gorgeous graining and aesthetics are why it’s one of the most best-selling materials. It can be paired with flooring, furniture or existing windows and doors, and used to create a traditional or a contemporary look. These oak bifold doors with glass receive a full, spray applied micro-porous paint finish at our factory, so you can fit them quickly without adding a paint or stain. 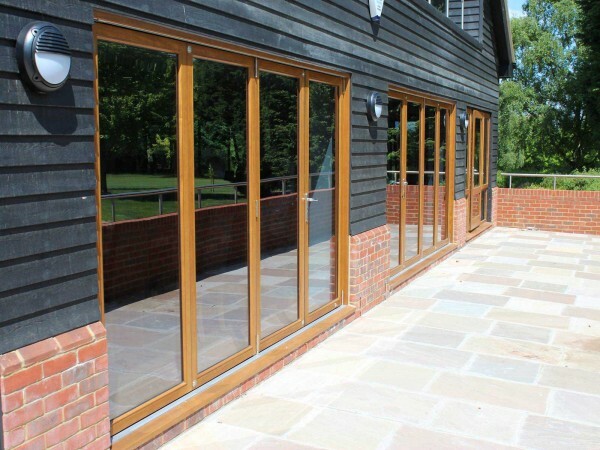 Their lightly tinted gloss protects the wood from all manner of weather conditions so you can rest assured that your patio doors are weatherproof. 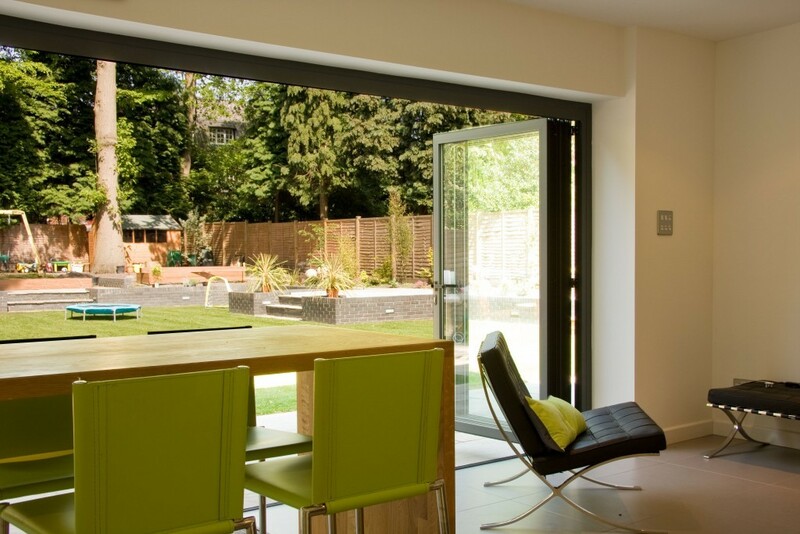 To find out more FAQs about our bi-folding doors, we have a whole section dedicated to this on our site. Space-Saving. 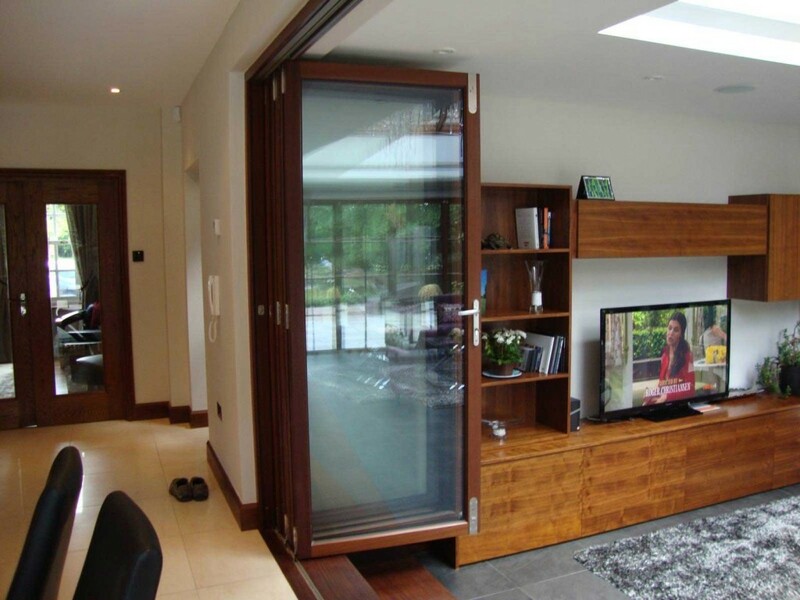 Perhaps the most important benefit of all, oak bi folding doorssave a lot of space, thanks to their design and layout. 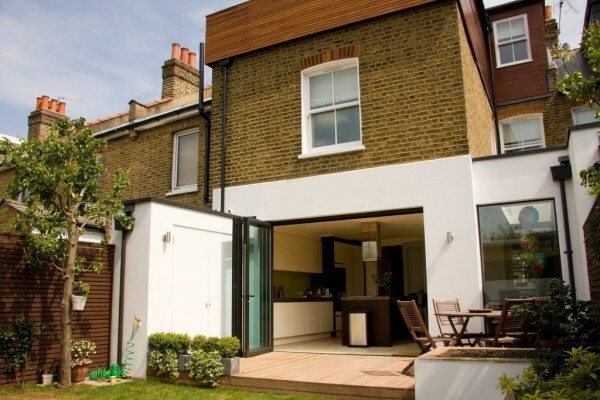 Fixed at one end, these door types cover minimum space with the help of the simple doors. As they don’tslide, the internal space on the floor isn’tobstructed or separated. 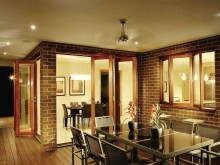 The bi-fold doors are especially useful in limited and small areas. 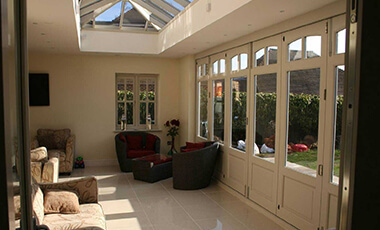 More Natural Light.This is the second benefit of bi-fold doors. 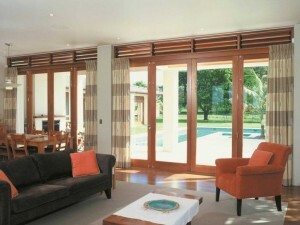 These doors provide plenty of space on the walls and, as such, allowa remarkable amount of light inside the room. In turn, this makes the room look more attractive. Improved Security. These door types provide enhanced security options. 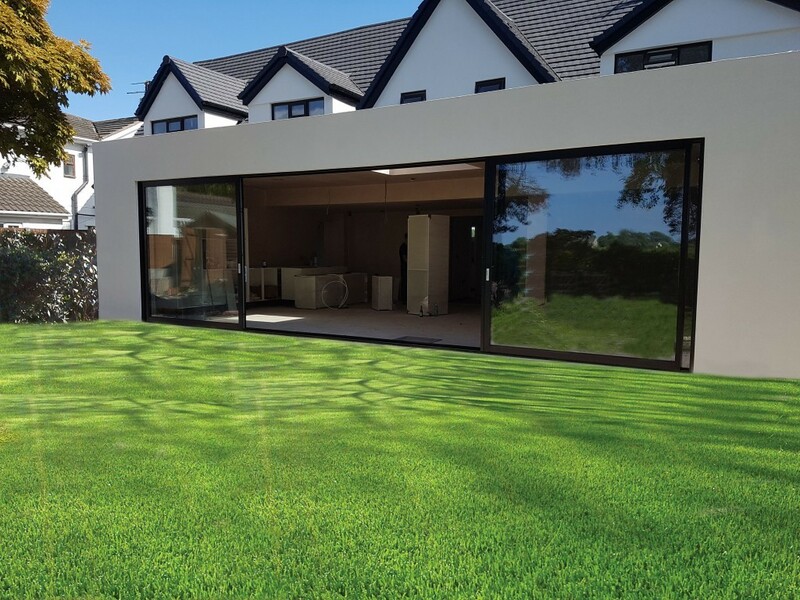 They feature numerous locking points across the sliding channel meaning they’re more secure French doors or patio doors that often feature single locking joints. 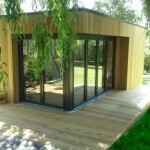 They’re great for areas like bedrooms and suitable for similar areas that seek privacy. Look Great. 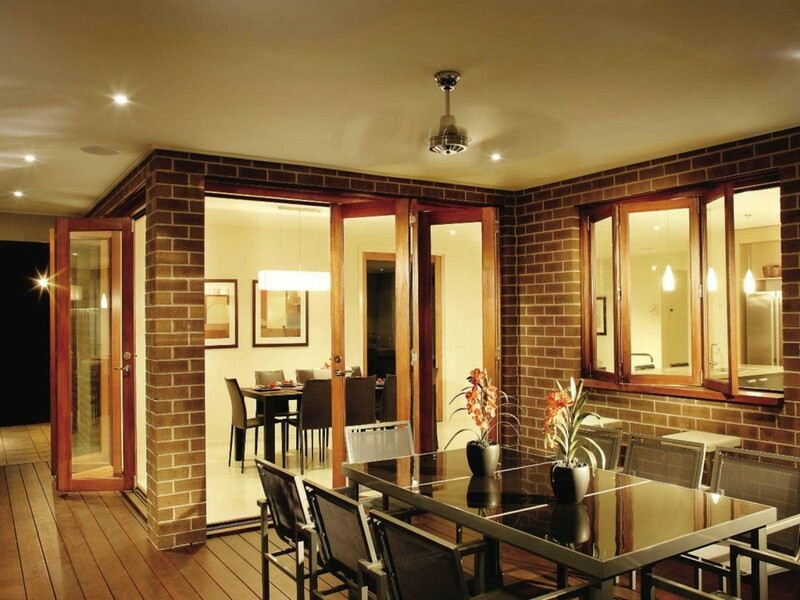 These doors add to the attractiveness of ahome. As they cover large areas of the wall, customisation is super easy with these doors. 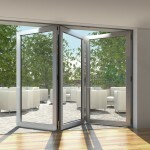 Along with this, these doors are available in various attractive designs.